This site can be used for the simple task of checking the winning lottery numbers against your own tickets. We know how tedious it can be to visually check all your tickets. There have been instances where a winning ticket was thrown away because the holder didn't SEE the winning match. This website can help remove "some" of the human error from the equation. 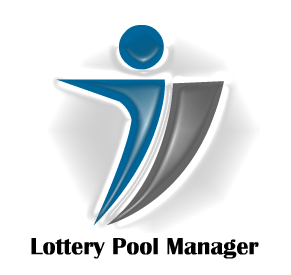 Initial Considerations: There are a few things that need to be decided before setting up your lottery pool that will alleviate any conflict. The main issue is trust. A lottery pool will not be enjoyable or effective if the players don't trust the person running it. If the steps outlined here are followed and disclosed to the players, there should be no problems with trust and everyone can enjoy playing and hopefully winning the lottery. Click to DOWNLOAD a sample spreadsheet showing "SHARES" distribution. for all players. We hope you like it. Click to DOWNLOAD a sample spreadsheet showing "CarryOver Winnings" distribution. Some lottery pools are more formal than others. There have been times when players get confused about who contributed how much and when. There are other legal matters that deserve consideration. For this reason, we are happy to provide a SAMPLE "Level/Equal Contribution" agreement for your use. (Thank you to Bobby for donating it.) We hope you find it useful. A. Level or Equal Contributions All players contribute and share in the winnings equally Determine the dollar amount at the beginning so there is no confusion later. B. Shares Contribution This type of contribution allows players to buy "SHARES" of the winnings. The range of allowed contributions should be determined prior to the pool activation. Distribution of winnings will be based on the amount of each player's contribution. A. Collect Money Collect the money from each player. B. Document Contributions Create a spreadsheet or some other document that show the player's name, contribution, lottery game (you can have more than one) and the drawing date of the game. C. Purchase the tickets It is easier for the pool manager to purchase the "Quick Pick" tickets in bulk. However, some players like to pick the numbers. The manager just needs to be aware of this and plan accordingly. D. Identify Tickets The manager should number the tickets and make a photo copy for each player. This will make identifying winning numbers/tickets easier when the time comes. E. Enter Tickets Key in each of the numbers from the tickets into the "Ticket Manager" page on this website. Managers should be extra vigilant to key the numbers in accurately. "Human Error" could result in a winning ticket being discarded. F. Check the Results After the game's drawing, log into this website and go to the "Winning Numbers" page. The latest draw results will be displayed at the top of the list. Click the Expand icon to display the results for your selected pool. G. Distribute the results The pool manager should print the results page and distribute it to all players. H. Distribute winnings The winnings should be distributed according to the contribution method established. Further, winnings can also be used to purchase additional tickets for the next drawing. This should be determined beforehand so that all players will be informed.